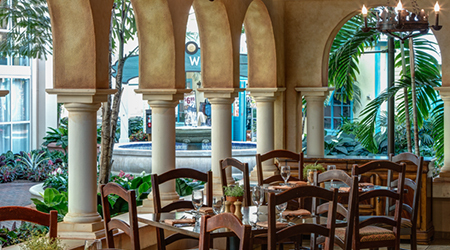 Before you ring in the new year, enjoy signature dining at Villa de Flora’s Mediterranean buffet! Our chefs have created a feast for the senses, making this one of the most popular restaurants of its kind in the state of Florida. Chefs stationed at six markets invite you to sample their culinary creations, including a seasonal market-inspired menu with entrees from the Mediterranean.